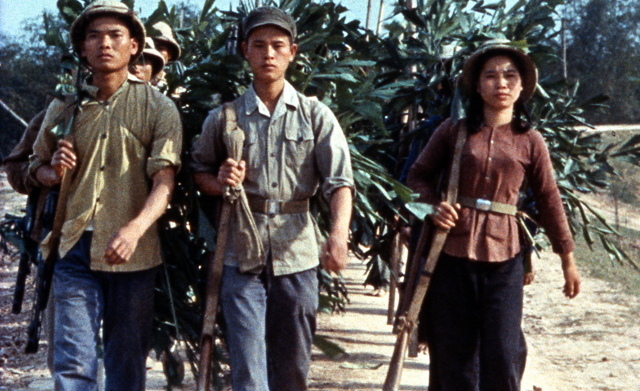 The film Far from Vietnam / Loin de Vietnam (1967) made by renowned directors Alain Resnais, Jean-Luc Godard, Chris Marker, Agnes Varda, Claude Lelouch, William Klein and Joris Ivens, was until recently hardly available, and only in bootlegged versions. 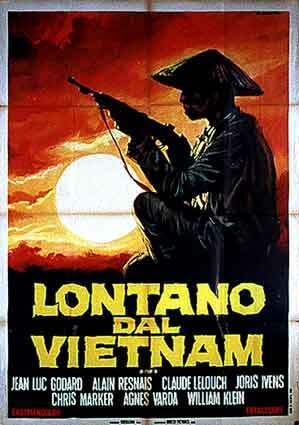 But since a short while two DVD boxes, published by Icarus/First Run in the USA and by ARTE in France, present this crucial film in protest of American military involvement in Vietnam in restored version. The film is the more interesting because of its genesis. The mosaic of various film styles made by various directors in a truly collaborative effort evolved from a similar approach Ivens intended to use for Pour le Mistral (1966). This compendium film is regarded the greatest legacy of the French New Wave. 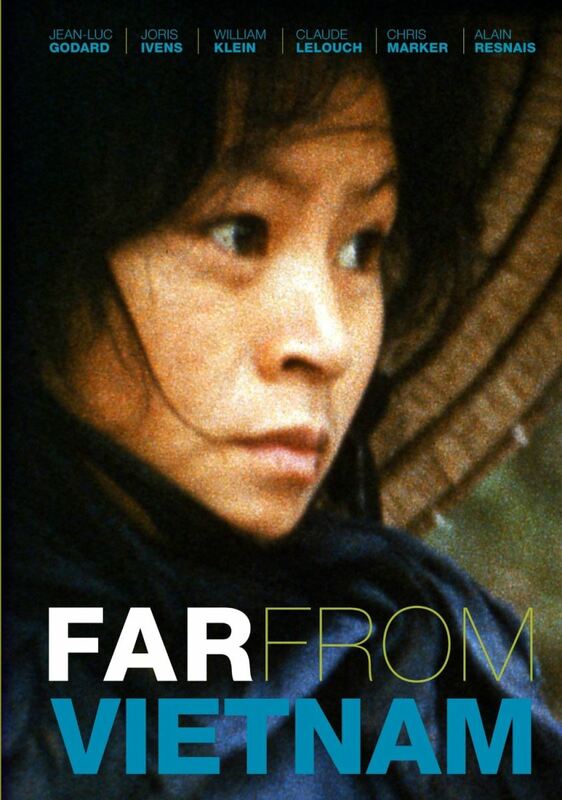 Joris Ivens and Marceline Loridan were not far away from Vietnam, on the contrary: they shot the only North-Vietnamese footage in this documentary. A truly collaborative effort, the film brings together an array of stylistically disparate contributions, none individually credited, under a unified editorial vision. 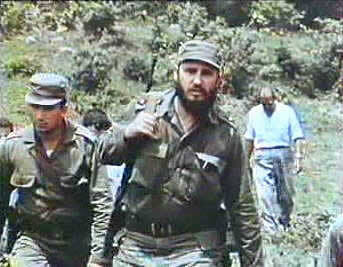 The elements span documentary footage shot in North and South Vietnam and at anti-war demonstrations in the United States; a fictional vignette and a monologue that dramatize the self-interrogation of European intellectuals; interviews with Fidel Castro and Anne Morrison, widow of Norman Morrison, the Quaker pacifist who burned himself alive in front of the Pentagon in 1965; an historical overview of the conflict; reflections from French journalist Michèle Ray; and a range of repurposed media material. We see the Vietnamese patiently dismantling bombs and heading for bomb shelters (often holes in the street), juxtaposed with images of a parade in New York celebrating the war. Mayor John Lindsay says from the sidelines that “a parade is a parade,” a testament to bourgeois cynicism, and indifference toward his own degraded class in the face of an awful reality. A group of young executives chants “Bomb Hanoi!” with big grins on their faces. One official says the Lord’s Prayer in celebration of the police and military. The approach of making a film in various film styles and shot by various directors derives from Ivens` preliminary plan for his film about the wind in Southern-France: Pour le Mistral (1966). To Ivens` frustration this plan wasn`t realised and he was most happy to continue this approach when he was asked to make a film about the Vietnamese war by the World Peace Conseil in Brussels. Ivens intended to produce a film with four filmmakers: Chris Marker, Robert Destanque, Roger Pic and Jean-Pierre Sergent. At the end it was Chris Marker who was able to organize a collective of filmmakers realizing Far from Vietnam. See: Ian Mundell: `The genesis of Loin de Vietnam`, Joris Ivens Magazine issue 9, November 2003.